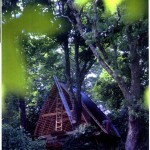 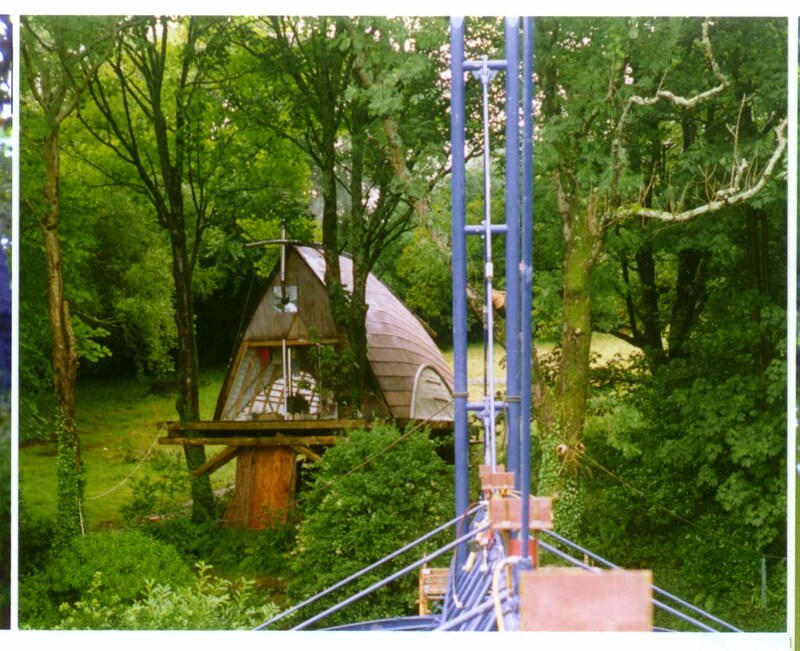 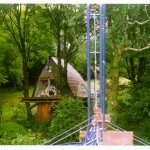 Built by us as a temporary home for ourselves and our children in 1991, the “tree house” continued in use for 20 years. 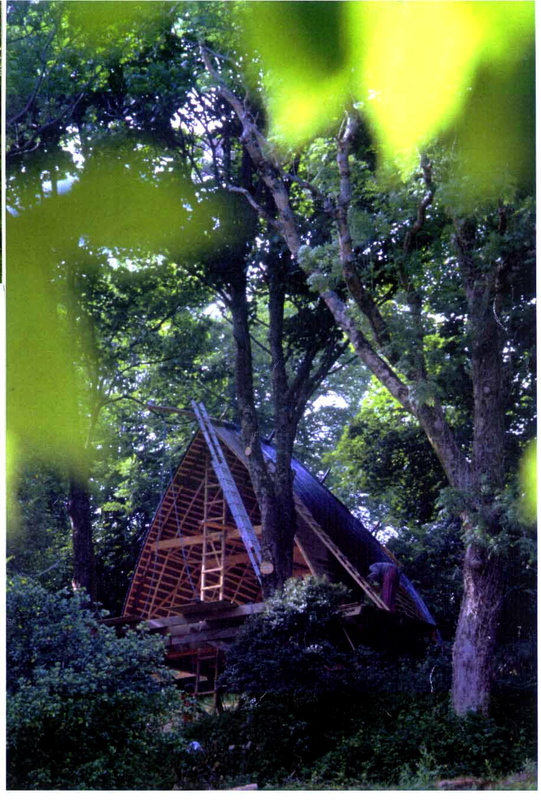 Constructed like an upturned curragh, it uses locally-grown timber – hemlock thinnings for the main frames, exploiting their intrinsic flexibility, and sprung to shape while green – and is covered in light timber lathing and tarred fabric, subsequently renewed with a marine ply shiplap roof finish. 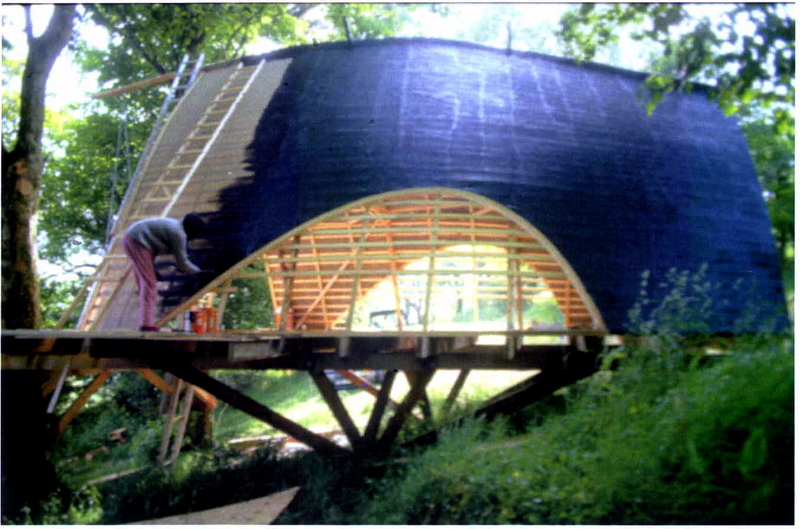 End walls are filled in with glazing and ply panels. 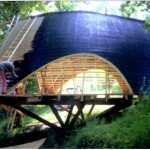 The sides incorporate glue-laminated arched frames, laminated in situ.